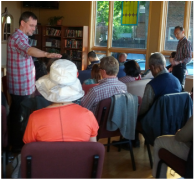 Sept. 27th, 2015 -Registration is CLOSED for Sept.2015 retreat. This is a half-day oasis, designed for stress-release, soul healing and focusing your heart. We will start at 2:00pm and finish by 6:00pm. Deposit: $15.00 non-refundable. (Payment could be made in one sum, but in case of cancellation your deposit is non-refundable). Venue: The historic Swansea Town Hall building (in the former Council Chamber, which now has a great ambience for urban retreats!). Near the Runnymede and Jane subway stations. Free parking. Guided meditation by Rev. 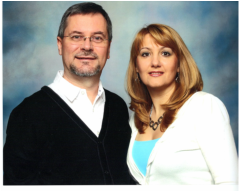 Yari Bereza (M.PM) and Tanya Bereza (B.PM) who have over 25 years of experience in spiritual ministry. Short Inspirational Talks to help you proceed on your journey. 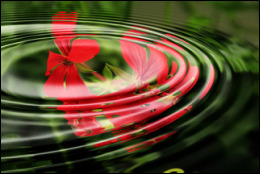 Love Frequency Sounds & Music: peace, rest and healing will flow into the deepest caverns of your mind, body and spirit. Allow healing wisdom to transform your life, embark upon a blessed journey to your heart and soul. Stillness... If your mind has been like a stormy sea, a day of stillness and restoration will calm the waves. Be still and regain your focus. Train your mind and become a stabilizer for others, too. We will contact you with full instructions for making the payment. Your spot at the retreat will be confirmed only after we receive your deposit by the deadline. Act now in order to secure your place in this amazing retreat.